This week, Rev. Jeremiah Cheung teaches us how to love our brothers and sisters in Christ according to the different facets of the new commandment in John 13:34: A new command I give you: Love one another. As I have loved you, so you must love one another. Audio and video for this message are now available. 1. Please share your key take away from this message. 2. “A new command I give you: Love one another.” (John 13:34). What are the three important characteristics of the new commandment? a. The new command is an issue of the inner life. What does this mean? What does ‘spiritual body consciousness’ mean? b. Why do we say that new command is about boundless love? c. Why can the new command only be attained by grace? 3. To love brothers and sisters in Christ, what are the things we should NOT do? Which of the three aspects do you find most difficult? 4. 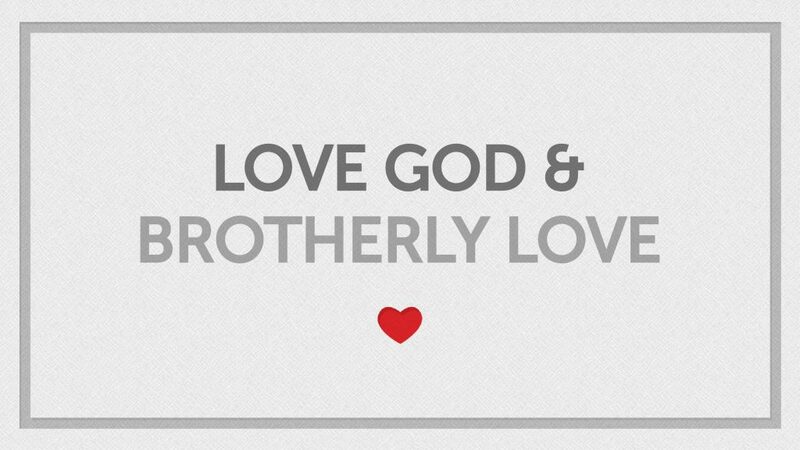 To love brothers and sisters in Christ, what kind of love should we have? Do you have any experience you can share?